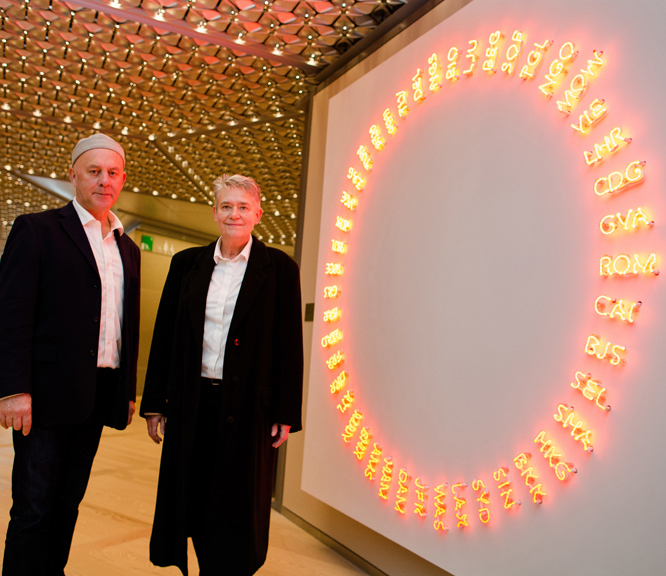 “Frozen Sky” our digitally controlled red neon sculpture has been installed in it’s new location at Bloomberg L.P.’s new European headquarters at 3 Queen Victoria Street, EC4N 4TQ. 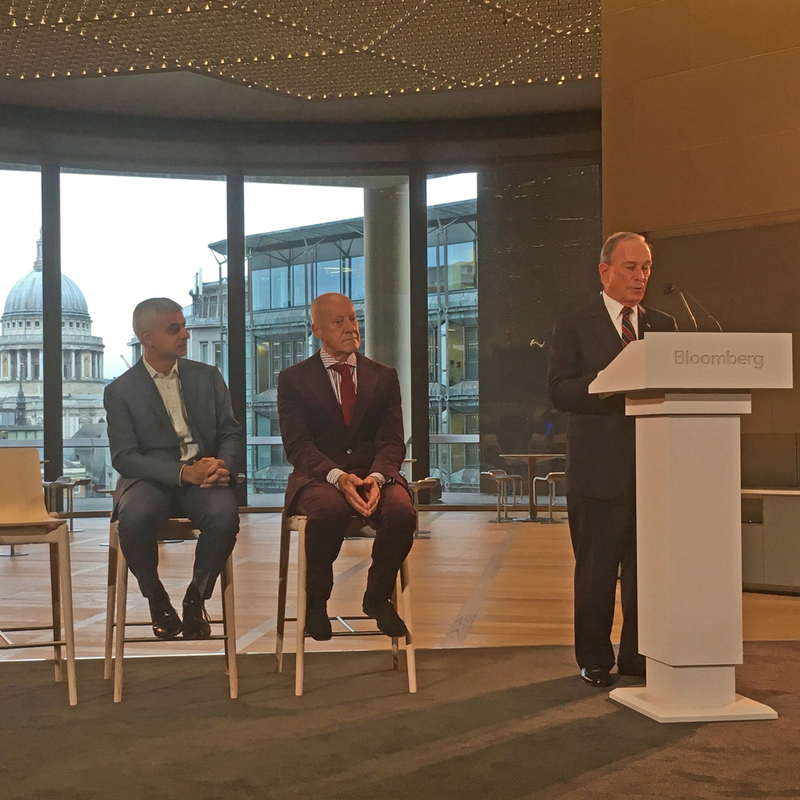 Designed by Foster & Partners the new HQ was opened today by Mike Bloomberg accompanied by Sadiq Kahn and Norman Foster. Billed as the most sustainable office building in the world, it is located on one of the UK’s most significant archeological sites beside the Guildhall, opposite the Bank of England and overlooking St Paul’s. 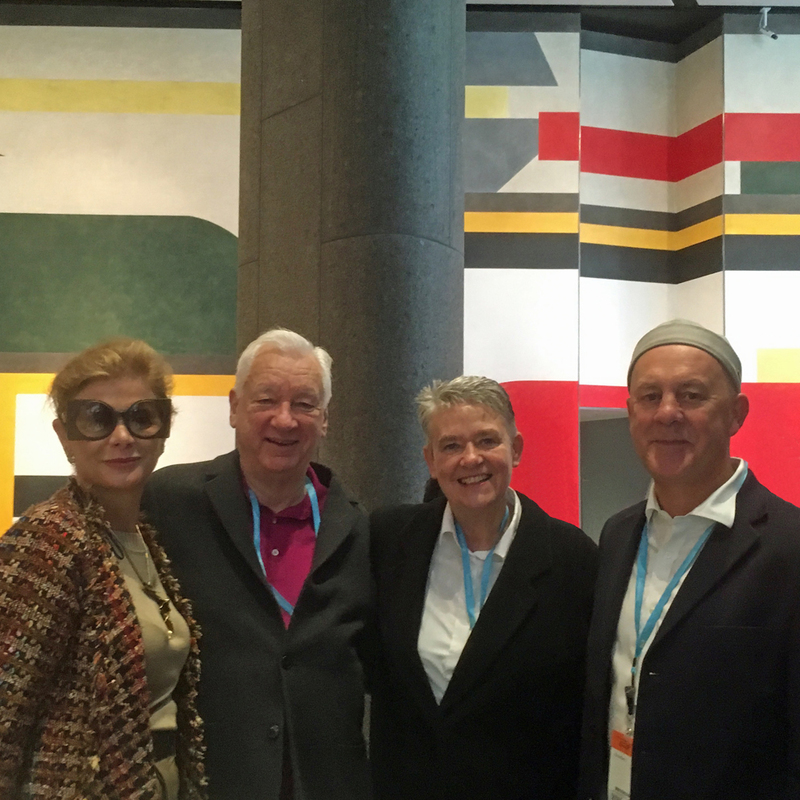 It incorporates the Roman temple of Mithras and also hosts new art commissions by Michael Craig-Martin, Olafur Eliasson, Arturo Herrera, Christina Iglesias, Isabel Nolan, David Tremlett and Pae White. “Frozen Sky” is a constellation of the world’s urban centres: a circle of 45 three-letter acronyms formed by the codes used by aviation authorities to identify international destinations around the globe. 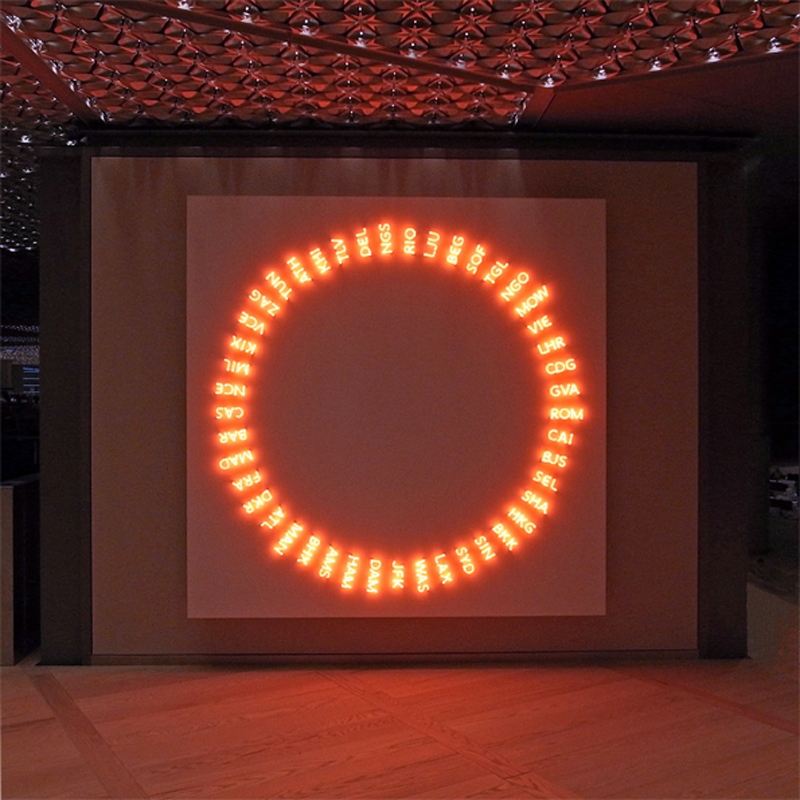 The sculpture’s rotating sequence of red neon light evokes travel and communication, space and time – suggesting the persistent transience of contemporary urban life, a poetry of places allowing departures into the imaginary.